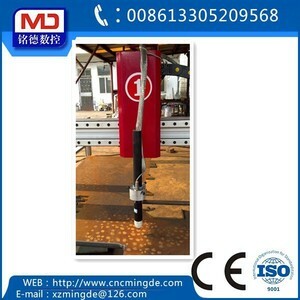 Foshan Shuttle Machinery Equipment Co., Ltd.
Xuzhou Mingde CNC Technology Co., Ltd. The &ldquo;intensification principle&rdquo;, or ratio, uses the difference in biscuit/plunger area to intensify, or increase the pressure. 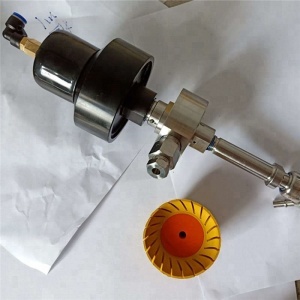 , 3,000 psi of oil pressure will generate 60,000 psi of water pressure due to the 20:1 ratio of biscuit area to plunger area. Q: Do you provide samples 9 is it free or extra 9 A: Yes, we could offer the sample for free charge but do not pay the cost of freight. 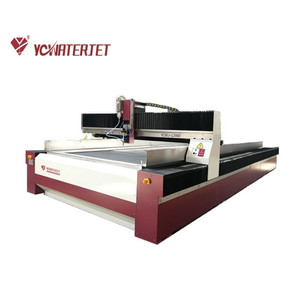 Waterjet cutting machine| Waterjet cutter| CNC Waterjet cutting machine /water jet cutter Device configuration and main technical performance : The device is composed of high voltage generator, CNC system, cutting platform of three parts; 1. 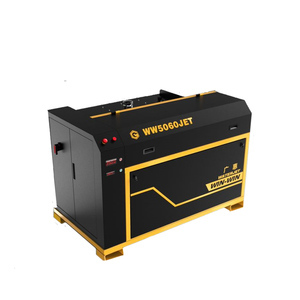 High voltage generator: 410MPA using Borg brand plate cooler used in Taiwan Yuken brand electro-hydraulic valve Maximum water displacement: 3.0L/min Working pressure: 410MPa commonly sustained pressure: 300Mpa ~ 350Mpa Main motor power: 37KW, 380V/50HZ commutation mode: electronic commutation Dimensions: 1.77 * 1.3 * 1.4m Weight: 1200 kg 2.the CNC system : using Auto-fu axis water jet cutting machine dedicated software . 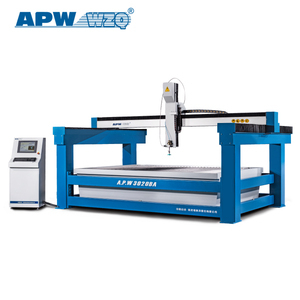 Genuine Windows XP system 3. the cutting platform : adopt Spain IPIRANGA ball screw, linear guide SKF USA used in Japan Yaskawa servo motors , servo drives Processing range : 2 m &times; 4 m ( three-axis gantry ) Rapid traverse speed : 6000mm/min control accuracy: &plusmn; 0.01mm Cutting precision : &plusmn; 0.1 mm-&plusmn; 0.2mm cut gradient : 1 ~ 3 degrees cut surface roughness : 6.3&mu;m ~ 12.5&mu;m between ( depending on thickness according abrasive ) assembly precision : 0.02-0 . 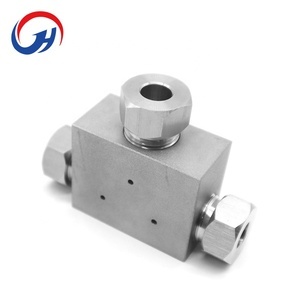 04 mm XY axis perpendicular to the degree : 0.1/1000 Functions and usage: This product is electric turbocharger commutation signal control, real-time monitoring the oil temperature controller oil change, the sender automatically detects the hydraulic system fluid cleanliness and alarms, programmable logic control operation and monitoring, the whole system high sensitivity, smooth cutting surface, finish, equipment, easy operation, long service life. 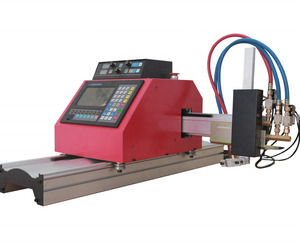 Foshan Shunde Teenking CNC Machinery Co., Ltd.
With 2 rotating axis, 3D waterjet can cut at fixed or varying angle on 2D or 3D worksheet surface. 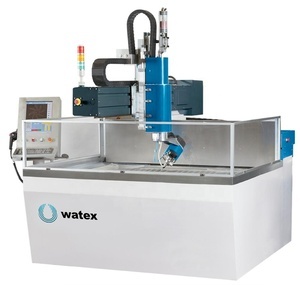 With dynamic compensation, 3D head offsets the natural taper of jet to ensure the exact cutting effect and high accuracy. DY tilting head DY head can cut at a fixed tilting angle on the plane of worksheet, following internal or external contour line. 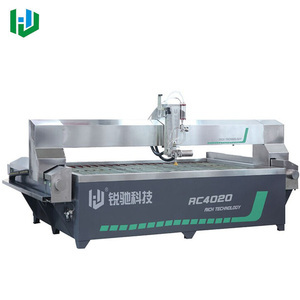 Foshan City Rich Technology Co., Ltd.
Alibaba.com offers 5,578 water jet cutter products. such as free samples, paid samples. 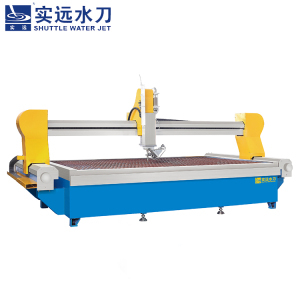 There are 5,511 water jet cutter suppliers, mainly located in Asia. 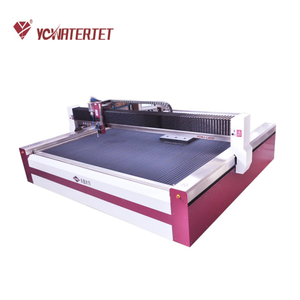 The top supplying countries are China (Mainland), Taiwan, and Japan, which supply 99%, 1%, and 1% of water jet cutter respectively. 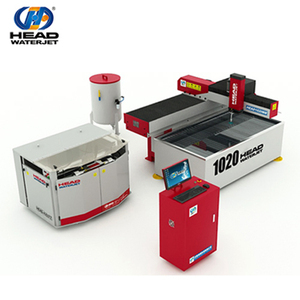 Water jet cutter products are most popular in Domestic Market, Eastern Europe, and North America. 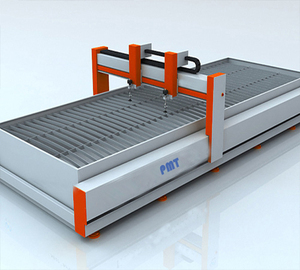 You can ensure product safety by selecting from certified suppliers, including 1,146 with ISO9001, 188 with Other, and 27 with ISO14001 certification.